We all know that you can use pretty much anything to put your makeup on - condoms, iPhones, tampons - because unfortunately people insist on trying these things out for some reason. But nothing is more endearing than seeing an 8-year-old using a sanitary towel as blotting paper, completely unaware of what she's pressing against her face. This teeny tiny beauty blogger was creating a makeup tutorial vid and was just about done with her blusher when she reached for the next necessary product in her routine - a sanitary towel. 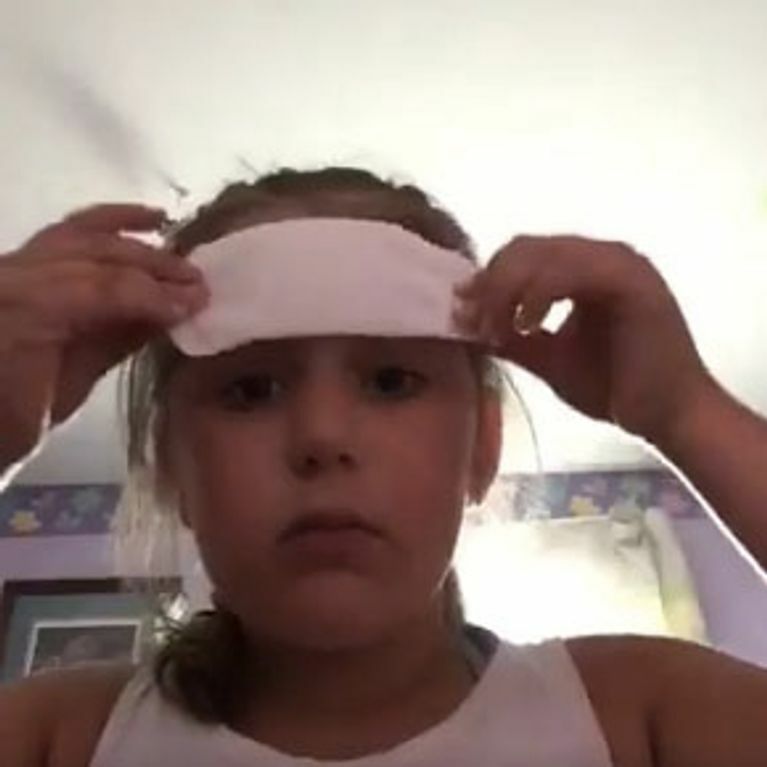 In a video tweeted out by her older sister Jaiden Park, she picks up the pad, peels of the plastic and proceeds to dab her face with the sticky side of the towel. Jaiden explains that her 8-year-old sister found the sanitary product when filming a tutorial and has never seen a pad before. I mean, we've all been confused upon seeing a sanitary product for the first time - who hasn't thought a moon cup was a chalice for a Borrower or that a pad was not for vaginas but a tool for blotting away excess facial oils, honestly? The way she looks at it like " right so what do I do with you"
Why Oh Why Are Beauty Vloggers Using CONDOMS To Apply Their Makeup?